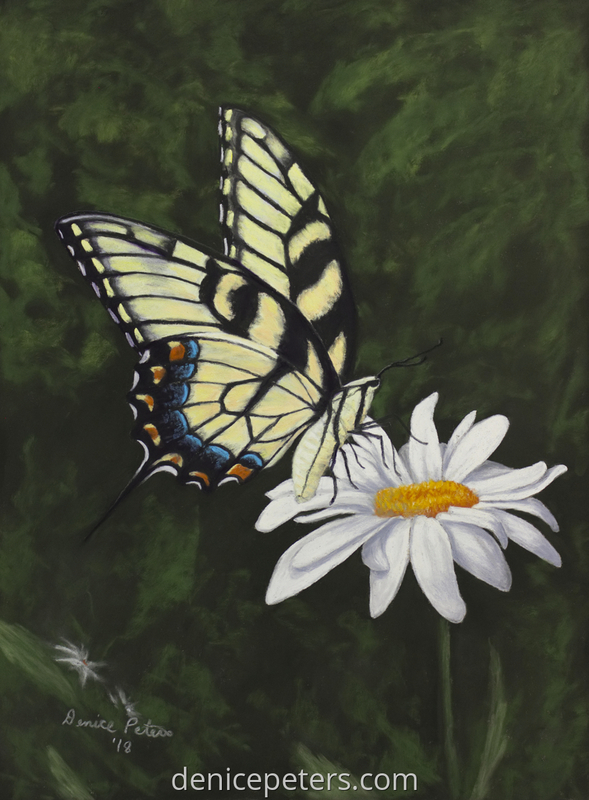 The second in a series butterfly paintings. This is called "Ready To Land" because I caught him just as he was landing on a daisy. This is a type of yellow swallowtail. 12"x16" pastel.